West Hollywood (“WeHo”), Los Angeles County, California Car Accidents Lawyers with Over 40 Years of Experience and Success Rate of More Than 95% in Winning thousands of Cases! West Hollywood (“WeHo”), California car accidents cause serious injuries and occasionally fatalities resulting in wrongful death accident claims. Our injury lawyers understand how devastating such car accidents are, causing victims and their families overwhelming problems. Our injury accident attorneys genuinely care about our clients and their families, and we want to help you. West Hollywood car accident collisions can cause catastrophic injuries involving fractures and concussions, substantial property damage and sometimes even wrongful death. Our West Hollywood wrongful death, car accident personal injury claims lawyers have the resources you need and a success rate of better than 95% in handling thousands of personal injury and wrongful death accident cases in West Hollywood, Los Angeles and all throughout California. With more than 40 years of experience in handling so many kinds of car accidents, from rear enders to T-Bone and left-turn collisions, and other accident injury claims, we are a team of expert accident claim lawyers offering our legal services for West Hollywood, Beverly Hills, Los Angeles and California. Our experienced car accident injury lawyers know how to handle car accident cases, from getting damaged cars towed and repaired, total loss cars paid off, free rental cars, immediate medical care without payment due until your case is resolved, to maximum settlements while providing clear legal advice and explanations of the claims process until your claim is resolved. To see what other clients have said about us, just go to our testimonial section. There are many time rules (including the California statute of limitations) and procedural rules (e.g., in car insurance policies, the California DMV, etc.) so please do not wait. Please do NOT risk making a mistake or blowing a time deadline. Contact us now at 818-222-3400 or 1.866 INJURY 2 (after hours just dial “1”) for your FREE & CONFIDENTIAL consultation and case evaluation. Medical Care: Personal injury car accidents in West Hollywood, CA often leave victims dealing with serious injuries that require immediate medical care and physical therapy attention. Our West Hollywood car accident injury attorneys help our clients obtain medical care, including doctors, physical therapists, specialists such as orthopedic and plastic surgeons, neurologists, dentists and psychologists; usually without any payment due until the claim is resolved. Moreover, clients can seek assistance for prescription medications, MRI, CT scans, and X-Rays, usually with no payment due until your claim is resolved. 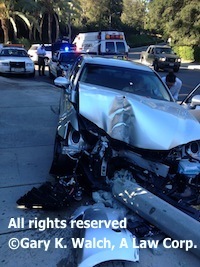 Vehicle Repairs: West Hollywood car accident collisions can cause major damage to cars, trucks and motorcycles. Our West Hollywood car accident lawyers and law offices help you with your vehicle repairs, storage, towing; and if appropriate free car rental and total loss pay-offs. Transportation to Doctor: Our West Hollywood car accident lawyers and legal team assist clients in finding doctors, arranging appointments and, whenever appropriate, arrange transportation for injured clients to and from the hospital, medical clinic and other doctor and physical therapy appointments. Cash Advances/Emergency Loans: West Hollywood car accidents can exhaust your finances, especially with unexpected medical bills and added expenses to take care of at a time when you may miss out on work and suffer a loss of earnings and other income. Our proficient West Hollywood car accident lawyers and law offices will assist you in receiving loans and advances to cover those additional expenses. West Hollywood, sometimes referred to locally as WeHo, is a separate city within Los Angeles County, California. Incorporated in 1984, it is home to the famous Sunset Strip, which was the setting of the successful detective television show called “77 Sunset Strip”. 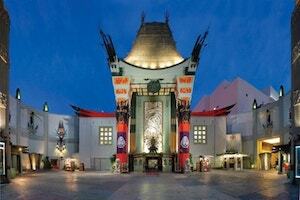 As per the 2010 census, the total population of West Hollywood is 34,399. It has a total area of just 1.89 square miles, out of which the total 1.89 square miles is land. West Hollywood is bounded by the city of Beverly Hills on the west and on the other sides by neighbourhoods of the city of Los Angeles. Hollywood Hills is on the north, Hollywood on the east, the Fairfax District (home of Fairfax High School) on the southeast and Beverly Grove on the southwest. The city’s irregular boundary is featured in its logo or seal. It was largely formed from the unincorporated Los Angeles County area that had not become part of the surrounding cities. Residential neighbourhoods in West Hollywood include the Norma Triangle, West Hollywood North, West Hollywood West, West Hollywood East and West Hollywood Heights, all of which are only a few blocks long or wide. Major interesting streets, including Melrose Avenue, Santa Monica Boulevard, the Sunset Strip, Fairfax Avenue and La Cienega, typically provide amenities within walking distance of adjacent neighbourhoods. West Hollywood is quite a diverse community, and is considered as home of one of the most prominent gay villages in California and also the entire United States. West Hollywood has a subtropical-semi-arid climate with year round warm weather. Snow is extremely rare in West Hollywood, with the last accumulation occurring in 1949. Rainfall is sparse and falls mainly during winter months, from around November to March. For many years, the area that is now the city of West Hollywood was an unincorporated area in the midst of Los Angeles. The most recent migration to West Hollywood came about after the dissolution of the Soviet Union, when thousands of Russian Jews immigrated to the city. In 1984, residents in West Hollywood organized to maintain rent control. When Los Angeles County began planning to discontinue rent controls, West Hollywood was a densely populated area of renters. West Hollywood adopted one of the strongest rent control laws in the nation. 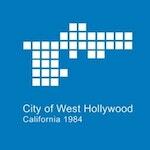 The Municipal Code of West Hollywood, including its rent control codes, can be found by clicking here. The West Hollywood Halloween Carnival is an event that takes place annually on October 31. 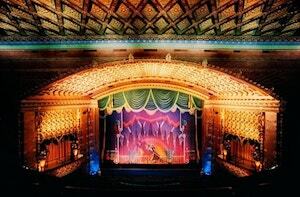 West Hollywood has many ongoing programs to celebrate the vibrant arts and unique culture of the city. The literary community is acknowledged with the year-round author series WeHo reads, featuring new and noteworthy authors at the West Hollywood Library with a full day literary event. West Hollywood is part of the Los Angeles Unified School District (LAUSD). Some of the elementary schools in West Hollywood are West Hollywood Elementary School, Rosewood Avenue Elementary School, Laurel Elementary School and Gardner Street Elementary School. Most of the West Hollywood is zoned to Bancroft Middle School. Some of the private schools in West Hollywood are Pacific Hills School and the Center for Early Education. Nearby are Hollywood High and Fairfax High Schools. As you see, our car accident personal injury & wrongful death accident lawyers and law offices offer an absolutely FREE & CONFIDENTIAL consultation for new accident cases and there is no fee until you win. We work on a contingency fee for our services on accident cases – which means we do not get paid until you WIN! If you or your loved one has been involved in a West Hollywood, CA car accident or any motor vehicle collision, call us right now for your FREE & CONFIDENTIAL car accident personal injury advice. You also may simply go to our contact us form and tell us about your car accident case. You can look through our lawyer profiles and get to know our experienced and well-qualified lawyers. Furthermore, learn about the formalities, procedures, and rules associated with West Hollywood, California personal injury and wrongful death claims by visiting our Car Injury Accident Web Site; and for more specific help about your particular car accident injury case please call us now at 818-222-3400 or 1.866 INJURY 2 (after hours just dial “1”) for FREE & CONFIDENTIAL consultation on your car accident injury case. Remember, our car accident injury lawyers offer FREE legal consultations and evaluations on West Hollywood, CA car accident claims and take our clients’ injury accident cases on a contingency basis, which simply means there is NO fee until you WIN! Therefore, do NOT worry about money. Call us now – Let us help you now – You will be glad that you did!